At Quality Restoration Service, our highly trained technicians and restoration specialists provide 24/7 emergency water damage restoration in San Bernardino, California and the surrounding areas. Our certified and trained professionals are on standby and respond quickly to your water damage or flooding emergencies. 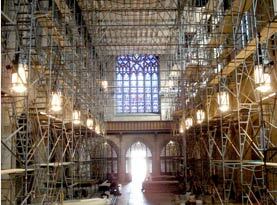 Our priority is to extract the water, dry the structure and mitigate any water damage. Our technicians and restoration specialists can also repair water damaged materials such as carpets and other fabrications. Our restoration specialists are skilled at finding and addressing hidden moisture problems that can lead to mold growth and further damage building materials. We are proficient at performing water extractions and water dry-outs. 2. Our professional services include extraction & removal of excess water caused by flooding, burst pipes etc. 5. Restore damage areas to their former beauty and pre-loss condition. You can count on the experience and professionalism of Quality Restoration Service to assist in filing insurance claims and arranging payment from your insurance company quickly. At Quality Restoration Service our expert technicians and restoration specialists are waiting to respond to your fire damage emergency 24/7 in San Bernardino, California and the surrounding areas. A quick response to fire damage cleanup can reduce property losses after a fire and our qualified restoration specialists can help get your home or office in back in order promptly. Our professional fire damage restoration teams can initiate fire damage cleanup beginning with a structural evaluation of your property including roof, walls, and flooring. Our technicians will present a comprehensive clean-up plan based on their assessments. Our services include restoring building materials damaged by smoke and fire as well as damage caused by extinguishing the fire. Our qualified fire damage restoration specialists will also restore property damaged by soot along with determining which items can be restored. 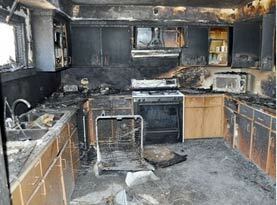 Our fire restoration professionals understand how to identify problems caused by smoke, soot and fire. We can also co-ordinate with your insurance adjuster to make sure all of your personal property is accounted for and that you receive your insurance claim quickly. At Quality Restoration Service, our qualified mold remediation specialists clean and remove mold growth along with repairing the source of the moisture. 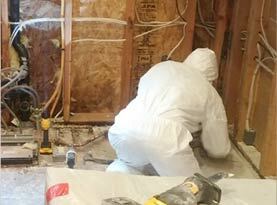 Our remediation and restoration specialists are trained to eliminate mold and mildew in San Bernardino, California and the surrounding areas. 3. Recommending a comprehensive action plan including remediation, cleanup and repair. 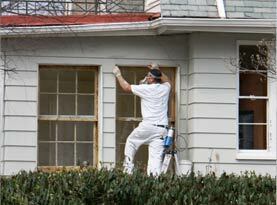 Our expert restoration services include drying out the excess moisture and cleaning materials contaminated by mold. Our technicians will identify and repair the source of moisture and repair building materials damaged by moisture, mold or mildew. Our specialized equipment will sanitize the air and surfaces killing off the excess mold spores. At Quality Restoration Service, our staff works closely with property owners and insurance companies to ensure our customers complete satisfaction from start to finish. Our goal is to restore a healthy indoor environment to your San Bernardino residential home or commercial building. © 2015 Quality Restoration Services. All rights reserved.